For years, we have patiently been waiting for the first foldable device .....until last year when things became more serious. South Korean giant Samsung is the company leading in bendable technology, though last year another company beat it to be the first to launch a bendable device. 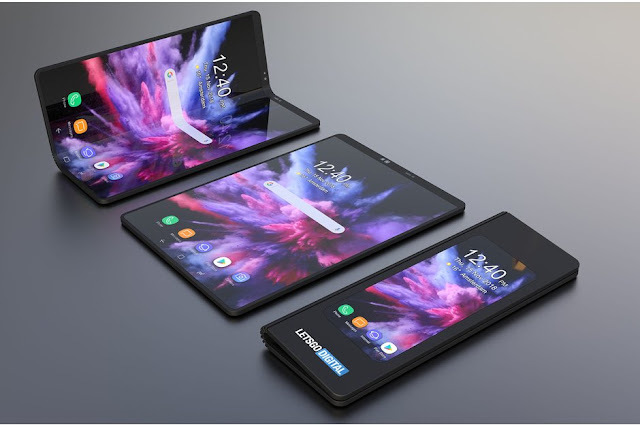 Well, the South Korean company doesn't seem to be in a rush to launch the device as it has taken its time in research and development so as to come out with a phone that will be appealing to everyone. That time to launch this foldable device is close as the tech company announced February 20 as the day. While we wait for the upcoming Samsung Galaxy foldable device (Galaxy F or X? ), a senior Samsung executive has confirmed to Korean media that the foldable device will be expensive...much expensive than the Samsung Galaxy Note 9 and Apple's iPhone XS Max. According to Phone Arena, "the folder phone will be released at twice the price of a premium phone, so a strong user case is needed," the website quoted the senior Samsung official. "That for Samsung seems to be the unique form factor that brings abilities like running three different apps at once, or unfurling in a tablet-sized media consumption machine when you need it for watching videos or browsing," Phone Arena said. The Samsung Galaxy foldable device is expected to come with bunch of expensive technologies that aren't available on any device yet. Another device that is expected to be expensive apart from the Galaxy foldable device is the Galaxy S10 that will be 5G capable.